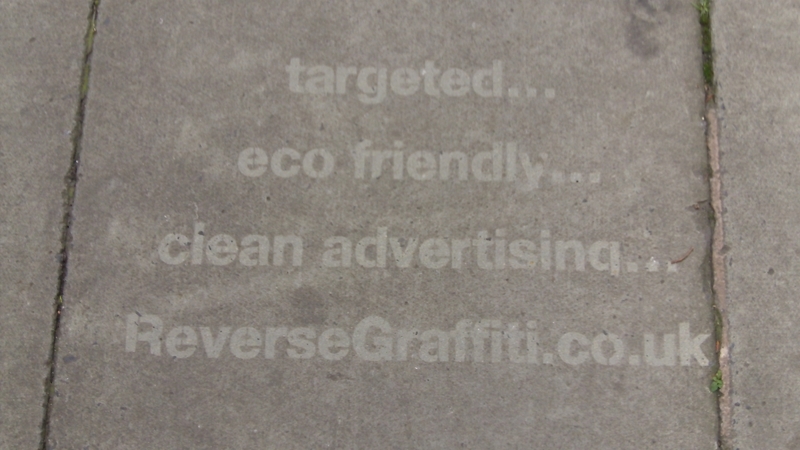 If you’ve been wandering around the streets of Manchester of late, you might have noticed a new and ingenious advertising opportunity as demonstrated by ReverseGraffiti.co.uk on the pavements and side-walks. 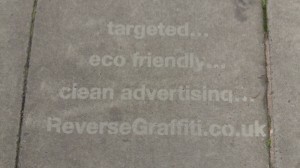 ReverseGraffiti.co.uk cleans paving slabs using just water and a stencil to spell out each striking advertising message. 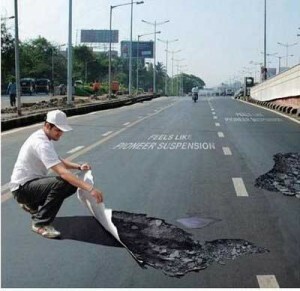 Simple, eco-friendly, clean, innovative and 100 times more noticeable than a billboard! Could this work for your business to communicate its message in a highly effective yet affordable way? If you saw this ahead, would it slow you down? Likely. 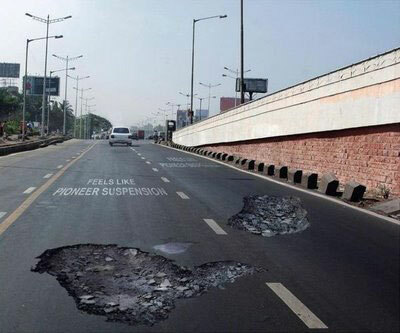 But you could be cunning and aim to drive so that you’re wheels straddle the pot-hole either side. To combat this, would the following slow you down? 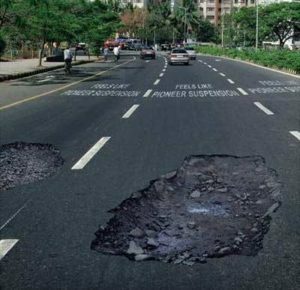 Almost certainly, but hey it’s not very eco-friendly or cost efficient to go around digging potholes in otherwise perfectly manicured roads – unless all is not quite what its seems? Two good examples of effective and innovative communication that need not cost the earth. Do you have any other creative and innovative examples to share?